contributor • April 1, 2012 Photo: Mark J. Terrill/AP Photo [Results updated in real time—Check musicrow.com f Read More. At the 47th Annual Academy of Country Music Awards in Las Vegas last night (4/1), Taylor Swift, Blake Shelton, Miranda Lambert, and more emerged as the event’s big winners. On the not-so-winning side, Ashton Kutcher sang part of a George Strait song, but the less we say about that the better. The show opened on Carrie Underwood, her magenta dress popping against the black and white uniforms of her band. The singer delivered her current single “Good Girl,” accompanied by video screens of dancing 18-wheeler mudflap girls, but (I’m guessing) she might have been having some sound issues because I can’t recall ever seeing Carrie not hit every note with laser precision. Sound issues also seemed to be plaguing The Band Perry during “Postcard From Paris,” but that didn’t stop Kimberly Perry from conducting herself like a star. You can’t teach that kind of stage presence. Over at Mandalay Bay, host Zac Brown introduced New Artist of the Year nominee Hunter Hayes with the pointed comment that he’s “somebody who actually plays on his own records.” All the New Artist nominees–Hayes, Brantley Gilbert, and Scotty McCreery–got a very brief one verse, one chorus performance slot. Scotty was eventually named the category’s winner. Miranda Lambert got her first of two wins for Album of the Year, making Four The Record her third consecutive album to win the honor. “My albums are my babies,” said Lambert. “It’s what wakes me up in the morning.” She also took home Female Vocalist of the Year. Later in the show, the Columbia Records star turned in one of the night’s best performances with “Over You,” which her hubby Blake Shelton called “the most important and personal song of our lives together.” Clad in a striking black dress, Miranda’s emotive performance of the song about loss and grief proved that she doesn’t need fireworks and shotguns to get her point across. KISS, in full makeup, presented Lady Antebellum with the Vocal Group of the Year Award, prompting Charles Kelley to say “I feel like I need to pull [my shirt] down and give a little chest hair.” Later in the show, the group sang an atmospheric “Dancin’ Away With My Heart” on a very foggy stage. EMI Nashville’s Eric Church gave a great performance of “Springsteen,” and the cameras caught Keith and Nicole singing along in the audience. Also, is anyone else starting to wonder if Church sleeps in those sunglasses? Brad Paisley ripped through “Camouflage” with gusto, showing his trademark flashing guitar licks. Paisley re-appeared later in the show to play guitar on Zac Brown Band’s “Whiskey’s Gone,” clad in a beanie to match Brown’s signature headgear. Reba gave the late Earl Scruggs a shout out before legendary comedian Steve Martin turned up to play the title instrument on the Rascal Flatts single “Banjo.” He seemed underutilized, however, staying mostly in the background. Shelton introduced Toby Keith’s “Red Solo Cup” by saying it was “the biggest surprise hit since Osama Bin Laden said ‘Who is it?? ?’” Vegas comedian Carrot Top randomly showed up during Keith’s march around the arena during the boozy hit. Tim McGraw and Kenny Chesney sounded good together on “Feel Like a Rockstar,” which was shipped out to radio during the show. Call me crazy, but I suspect their Brothers of the Sun Tour this summer might go pretty well. Another excellent performance came from Dierks Bentley, who was introduced via video by Bono. “His music reaches all the way to my kitchen in Dublin,” said the legendary rockstar before Bentley delivered an anthemic, sing-along version of “Home” that wouldn’t have been out of place at a U2 show. Then things took a turn for the gimmicky with the much-publicized wedding during Martina McBride and Train singer Pat Monahan’s performance of “Marry Me.” What was probably a nice idea on paper fell flat in execution as the audio panned between Martina’s vocals and the wedding official doing the “to have and hold” bit, leaving many viewers scratching their heads. Shelton got a second performance slot to close out the show, and was joined by Lionel Richie to duet on Richie’s hit “You Are” which appears on the duets project Tuskegee. Bluegrass legend Earl Scruggs died March 28, 2012 in a Nashville area hospital at age 88. When asked about the banjo pioneer’s career, most who knew him site his kindness first and his musical achievements second. From early commercial success with The Beverly Hillbillies theme “The Ballad of Jed Clampett,” to a Grammy Lifetime Achievement Award in more recent years, Scruggs captivated generations of musicians and music lovers. Earl Eugene Scruggs was born in Flint Hill, NC on Jan, 6, 1924 and by his teens had developed a unique three-finger style of banjo picking that would revolutionize the genre. In 1945 he met future duo partner Lester Flatt, when both were members of the landmark group Bill Monroe’s Blue Grass Boys. 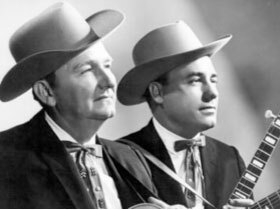 By 1948 Flatt and Scruggs left Monroe’s band and formed the Foggy Mountain Boys, which later become known simply as Flatt & Scruggs. Together, they popularized bluegrass throughout the fifties and sixties with national television spots such as The Beverly Hillbillies, with performances at famed events including the Newport Folk Festival, and a morning radio show on WSM in Nashville, sponsored by Martha White Flour. The duo called it quits in 1969 and continued separate careers. Flatt died in 1979, and the duo was inducted into the Country Music Hall of Fame in 1985. Family played a significant role in Scruggs’ career. His wife Louise, who died in 2006, is credited with steering his remarkable success and was a pioneering female in the music business in her own right. 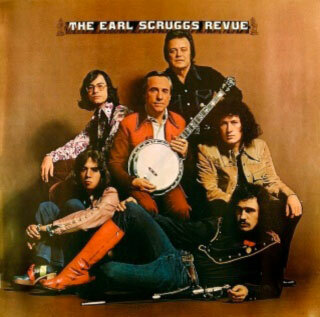 Scruggs teamed with sons Randy and Gary for the Earl Scruggs Revue in 1969. The group veered into folk-rock territory and included a rotating cast of musicians, including Randy and Gary’s brother, Steve. In 1972 Earl, Gary and Randy played on the Nitty Gritty Dirt Band’s landmark album Will The Circle Be Unbroken. Scruggs’ achievements earned numerous accolades including a National Heritage Fellowship, and the National Medal of Arts. He was inducted into the IBMA Hall of Fame in 1991. Even late in his career the honors kept coming. His album Earl Scruggs and Friends won a Grammy in 2001, one of three Grammys he earned between 1998 and 2004, as well as a 2008 Grammy Lifetime Achievement Award. Scruggs’ health waxed and waned in recent years, including a September 2010 hospitalization in North Carolina for an undisclosed illness. He was preceded in death by his son Steve, and wife Louise. The family will receive friends during visitation Fri., March 30 and Sat., March 31 between 3 – 7 p.m. at Spring Hill Funeral Home, 5110 Gallatin Pike, Nashville. Funeral services will be held Sun., April, 1 at 2 p.m. at the Ryman Auditorium. In lieu of flowers, donations may be made to the Country Music Hall of Fame & Museum or the Earl Scruggs Center. Rascal Flatts announced today they have re-named their 2012 tour the Farmers Insurance Presents “Changed Tour.” The tour name reflects the title of the band’s upcoming album, Changed, due in stores this Tuesday (4/3). The concert line-up will feature an all band set-up with Little Big Town, Eli Young Band and Edens Edge opening. The trek launches in Hartford, CT, on June 15 at the Comcast Theatre. Please check www.rascalflatts.com for up to date tour information.